 We are pleased to announce that Panama City, Panama, will host the next Open Science Forum for Latin America and the Caribbean: CILAC 2018. The event will take place from the 24th– 26th October 2018 and is a partnership between a number of important regional and national organisation including , the National Secretariat of Science, Technology and Innovation of the Republic of Panama (SENACYT), the United Nations Educational, Scientific and Cultural Organization’s Regional Office for Sciences for Latin America and the Caribbean (UNESCO Montevideo), the Municipal Government of Panama City, the Council of Rectors of Panama, the Association of Universities Groups Montevideo (AUGM), the Ibero-American General Secretariat (SEGIB) and the Ibero-American University Council (CUIB). This regional initiative was established in 2016 by the UNESCO Montevideo Office in Uruguay, with the support of regional and national stakeholders. The Uruguayan capital was host to the first open science forum for Latin America and the Caribbean handing over the baton to Panama City. The forum takes place every two years and alternates from one Latin American and the Caribbean city to another. CILAC 2018, is formulated around the motto “Science Connects”, appropriate for Panama City, home to one of the great engineering achievements of the 20th Century…the Panama Canal. The Canal connects North America with South- America, the Atlantic Ocean with the Pacific Ocean, while CILAC connects Latin America and the Caribbean through science, technology and innovation. The objective of the forum is to influence science policies and the decision-making processes in the region, through the promotion of dialogue between science, politics and civil society, using contemporary tools and mechanisms. It was agreed that the CILAC 2018 Forum will be part of “Science Week,” an 8-day event in Panama City, where the First Latin American Science, Technology and Innovation Fair will taking place from Thursday 18th to Sunday 21th October, CILAC: Open Science Forum for Latin America and the Caribbean from 22nd -24th and finally the Congress of the Panamanian Association for the Advancement of Science (APANAC) from 24th to 26th October. The official launch of CILAC 2018’s will take place in June 2017. Please keep posted for more information.